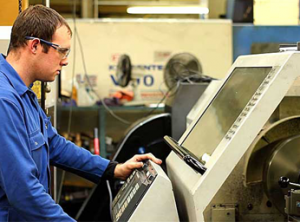 Albany Pumps work with a variety of machining processes, a capable test plant and our own painting facilities at our factory in Bradford, Yorkshire. We design all of our own products, using state of the art solid modelling techniques. Every on of our pumps is tested in our extensive testing facilities, with staff also processing orders, managing finances, purchasing and also a sales force to reach out across the world. We sell pump to more than 40 countries to a network of users, distributors, resellers and OEMs. The factory is easily commutable to from Chepstow, Gloucester and the Forest of Dean including Cinderford and Coleford. Check back here soon for current vacancies at Albany Pumps.